In recent past years, we have seen significant advancements in mobile technology. Gone are the days, when we had to pull out the camera to capture high-resolution pictures and videos. Nowadays, you don’t have to own a camera or an additional device if you’re having an Android phone. Most of the Android phones are now able to capture high-definition videos, even 4K videos can be captured easily. While it is much easier to capture such content, however, when it comes to share or edit them, there are limited ways and resources. Since HD videos /4K have huge file sizes, it becomes harder to share them. That’s where you would need software to edit, customize or compress your 4K/HD videos. And there’s a catch, not all video editing software support 4K videos. So, you should precisely choose software such as Digiarty’s VideoProc. If you’re too frequent in producing 4K quality videos, then you must have to know how to process 4K videos. Or else, soon you’ll run out of space on your phone and won’t be able to share them readily due to their big size. VideoProc is video editing and conversion software that provides a suitable environment to edit high resolution video files. 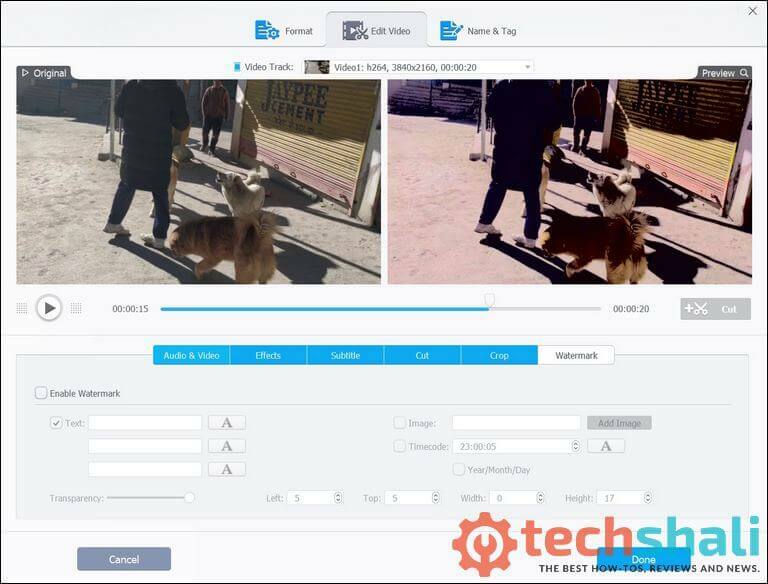 No matter when you’ve captured 4K videos on your phone, action camera like GoPro or with a professional camera, this tool is an easy-to-use option to process and convert 4K or even 4K UHD videos to different formats. Many times it happens, we face problems where our device couldn’t play high definition videos. That device could be your old mobile, DVD player or TV. That’s where software like VideoProc helps a lot. Though there are several other software that promises the same, however, there’s something special about this piece of tool that makes worth even more. 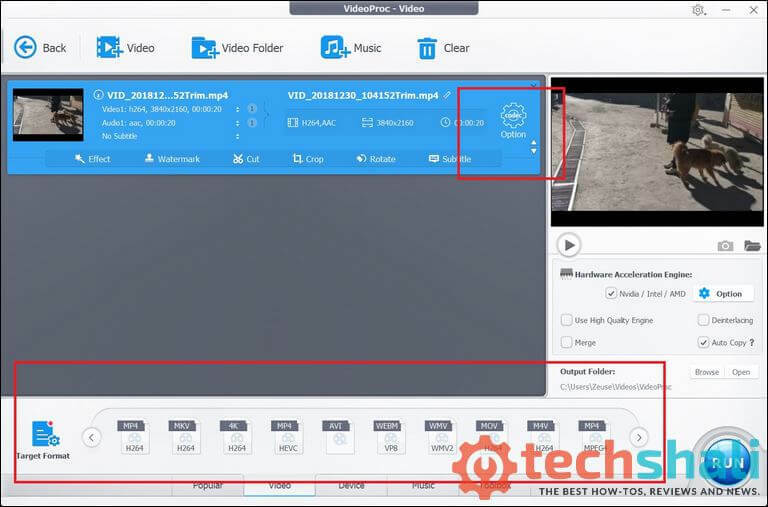 While this tool helps to process and convert 4K videos, it also helps to reduce down the size of the video files without compromising the quality. Going further, we’ll discuss some important features of VideoProc that make it worth. It’s just not about Android, it supports almost every 4K Video format. Whether that footage is taken using your iPhone or action camera, using VideoProc, we can easily process and manage them. Especially, we are aware that such videos generally have huge sizes, thus you would need more technically an extensive tool to process such videos. Here are some vital features of the VideoProc video editing tool. If we’re talking about technical advancement, we can’t miss this feature. 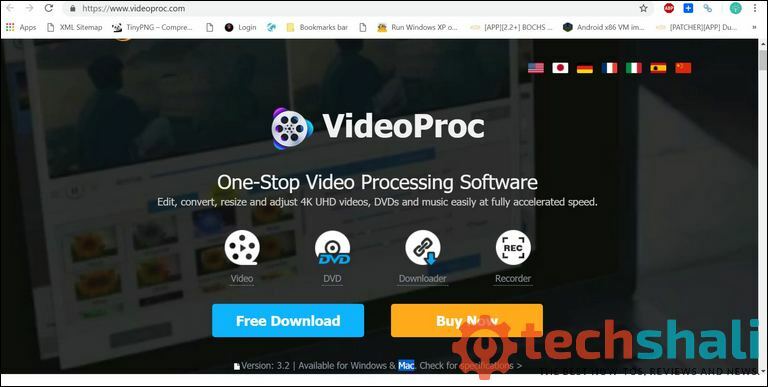 The VideoProc uses hardware acceleration to process 4K/ Ultra HD videos, that improves the overall efficiency of this tool and relatively better as compared to other similar software. 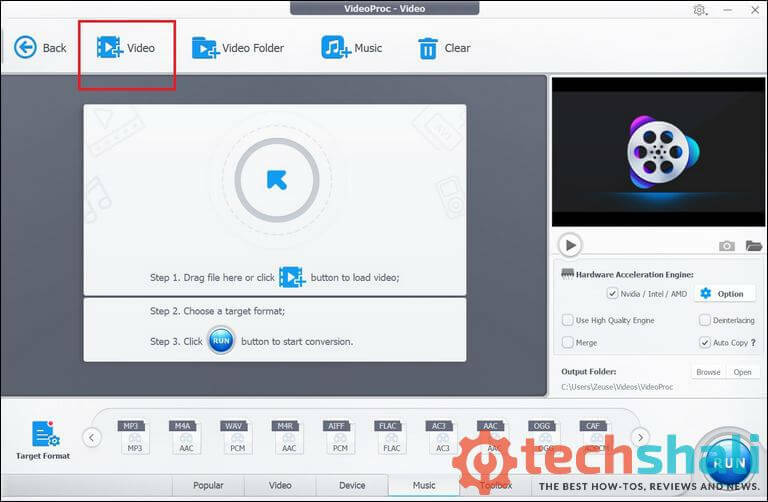 Through this technology, this video converter uses hardware aspects, CPU and GPU for processing and conversion purpose. It supports all major CPU and GPU chips from Intel, NVIDIA, AMD, and so on. That helps process videos at a faster rate and delivers smooth video editing and converting experience. This technology also helps to produce a relatively smaller size, so you can easily share them with your friends and family without worrying about quality and storage space. If you want to learn more about the benefits of this feature, you can read them here. This part should be considered carefully while choosing such software. There’s no benefit of having intensively powerful software if that’s not easy to operate. Now, about VideoProc, the user interface we feel very simple and easy-to-understand. As soon we launch this software, it opens the following window that offers different options to get started with video editing process. Right there, either we can start with video editing or get started with additional tools like DVD backup, video download that supports massive sources, and record the display screen. Getting started with video editing is quite simple. The user just needs to input or select the video file. 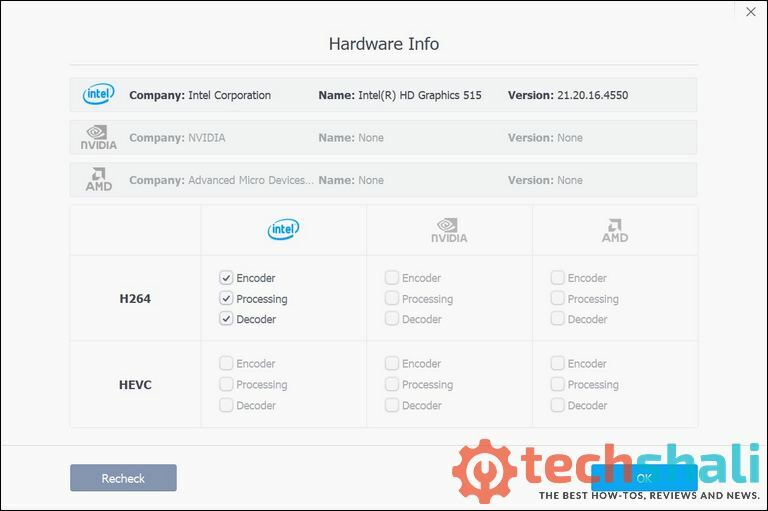 Thereafter, the VideoProc brings out customization and configuration settings. Either we can manually select the output or select one from the presets. While converting 4K videos to different formats, simultaneously, we can add different effects, put a watermark, cut, crop or put some subtitles easily. That really makes this video processing and conversion tool so good for Android users who are more frequent towards recording 4K and high-definition videos. While it offers feasibility customize the output media files, users can choose from the presets to save time and efforts. There are plenty of presets given to users, so 4K or high-definition videos can be processed easily for other devices. Whether you want to process or convert videos for your TV, Apple smartphones or some other devices that support a specific format, you can choose from that. Further, you customize these presets further to get better and more precise results. Also, you can save those customization and make them default. So, you don’t have to configure output every time you get indulged with this software. When it comes to get more meticulous about the output media file, VideoProc has an intensive setting panel for that intent. After you upload the video that you want process, just tap on the Settings button to pull customization panel. Through this panel, you can extensively customize the output video. 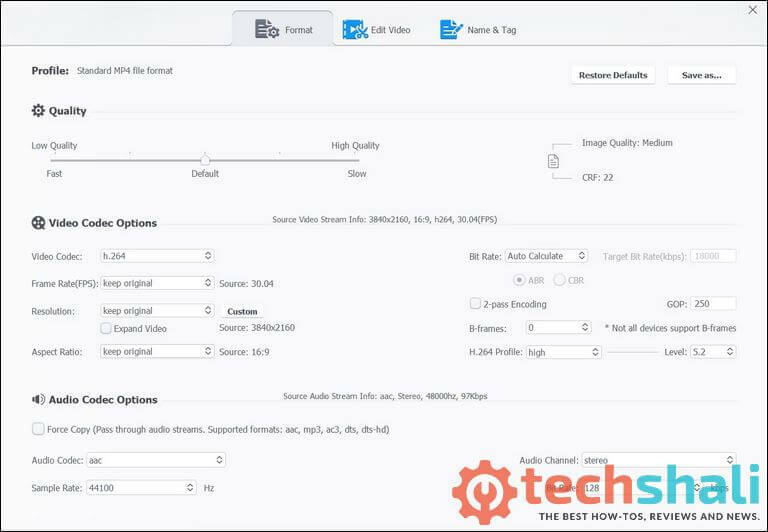 You can set the quality to manage the size of the output image, set correct video codec for better processing, FPS, customize screen size ration, select custom audio codec and bit rate. Moreover, you can also select between stereo and mono audio settings. Along with these options, the next tab has some options for video editing purpose. Through this panel, users can add different effects, watermark and subtitles. For adding subtitles, you would need to create subtitle file and upload it while editing videos. Also, users can control the extent of the volume for the output videos. That’s really helpful for Android or any other smartphones. These days, we find many media files having low output volume. While this tool offers more than enough options to process 4K videos, it has even more to offer to carry additional work. The first window that appears at the start brings three more functions. DVD Conversion and backup tool to rip and burn DVDs easily. Through this tool, users can manage DVDs and create their clones. Video Downloader utility that supports major video sites, users can stream videos directly from the sources and download them. Last but not the least, it has a screen recorder feature. Use this tool to create good videos on your computer through recording its screen. That is very helpful for those who creates tutorial or some explaining videos. That’s all about its features. Now, we can proceed further and learn how this tool works. The process is quite simple, and we can round up them in simple steps. Users need to follow below steps to process high-definition videos on Android using this tool. Step 1. You can download this tool from its official website’s homepage. It is available for Windows and Mac operating systems. Step 2. Now, launch this tool on your computer. Step 3. Then, tap on the Video option. Step 4. Locate the video that you want to process or convert. Step 5. Select the output format and customize it further tapping settings option. Step 6. At last, tap on the Run button to start the conversion and wait the time till it gets completed. That’s it, you’ve successfully processed 4K/HD videos that you’ve captured on your Android smartphone. Now, you can easily share them or play them on other devices. Here’s more you can find; how to use VideoProc. 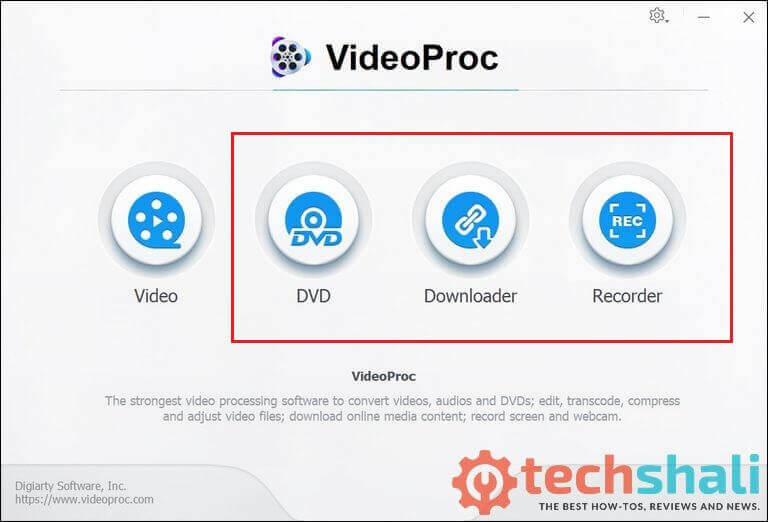 Overall, we find the VideoProc video processing tool relatively helpful for processing 4K or even higher resolution videos. This team offers a free trail of this software, so you can measure the extent of the usefulness of this tool. Or if want to get a free copy of this software, you should immediately head onto their Giveaway page. During this Giveaway campaign, you’ll have a chance to get this video processing tool for completely free. We hope that our readers would find this tool helpful. Don’t forget to share your thoughts and experience on this video processing tool.